Brian writes at http://LiveFreeLiveNatural.com that Doreen Hendrickson is spending what might be the last weekend she has with her family for a few years. On Monday, a jury is expected to return a verdict on her contempt charge. If she’s found guilty, she will go to jail. The IRS put her husband Pete in jail for 3 years; now they’re anxious to do the same to Doreen. It is signed under penalties of perjury because a Form 1040 is your sworn legal testimony regarding your income taxes. If you lie on a form 1040, you will go to jail. Doreen can’t sign the 1040 because she doesn’t believe it to be true, correct, and complete. 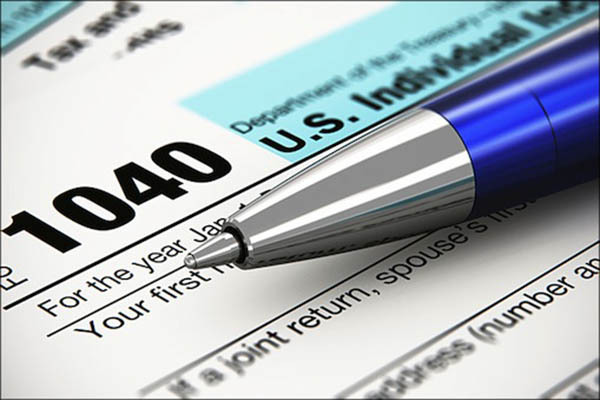 The 1040s are for 2002, ‘03, and ‘08. The total taxes due using the government’s figures are $0. That’s Zero. There is no tax due. Doreen is not charged with being a tax protester. She is not charged with falsifying a document. She is not charged with evading taxes, or willful failure to file. Judge Victoria Roberts suggested that Doreen sign the form and attach an affidavit stating her reasons for not wanting to sign. Doreen said “Great!” and went home to write up the affidavit. The IRS called: not good enough. The IRS demands Doreen sign the form on the line, swearing it to be true, correct, and complete even though she does not believe that. The IRS is demanding she change her testimony to suit them. It is dictating her testimony. In addition, Judge Roberts lied to the jury that the jury may not judge the law. The judge said that SHE will tell them what the law is and they must judge the case based on the what she says the law is. From this ridiculous statement, it follows that anyone in authority can order you to do something illegal and you have to do it. Unbelievably, the judge actually gave this instruction. The jury is deliberating now. They spent two hours on Friday doing so and will return on Monday morning to continue. The fact they did not reach a verdict quickly means that at least one juror is arguing for Doreen, for sanity and for common sense to prevail. Some believe the jury is the conscience of the people and the last bastion between tyranny and the accused. Doreen’s husband, Pete, wrote a book a few years ago called Cracking the Code: The Fascinating Truth About Taxation in America. * The IRS tried to ban the book for years, suing Pete four times, but they were unsuccessful. They did get to put Pete in jail for 3 years, however, convicting him of filing fraudulent documents. Now they are going after Doreen.